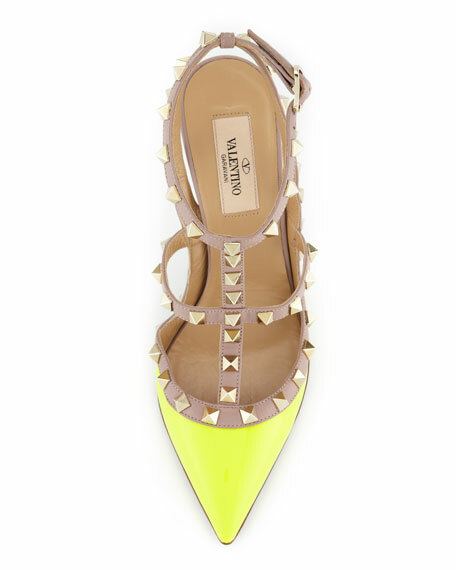 An electrifying take on the famous Valentino style. Double the impact in two-tone leather, this Valentino Rockstud sandal features a caged T-strap vamp and step-securing slingback strap. Golden Rockstuds trim caged vamp. T-strap connects to buckled ankle wrap. Strap across instep; slingback strap.